Volume 1 of the Flash Fiction Online 2016 Anthology released this week, which includes my story Project Earth is Leaving Beta. 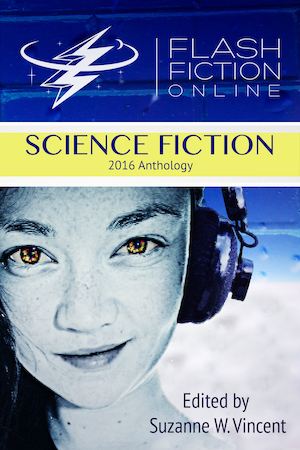 This volume of the anthology collects science fiction stories published by FFO in 2016. Project Earth is Leaving Beta first saw publication in Nature, where it received some positive remarks from Wired and BoingBoing. It was later reprinted in Flash Fiction Online, hence it's inclusion here. Pick it up and give it a read!